Because of Winn-Dixie by Kate DiCamillo is a novel we highly recommend for ages 8 to 12. Why? 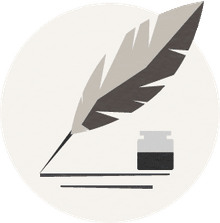 It's a combination of the excellent writing by the author, a story both poignant and humorous and a main character, 10-year-old Opal Buloni, who, along with her dog Winn-Dixie, will win readers' hearts. The story centers on Opal and the summer she moves with her father to Naples, Florida. With the help of Winn-Dixie, Opal conquers loneliness, makes unusual friends and even convinces her father to tell her 10 things about her mother who abandoned the family seven years ago. With the opening words of Because of Winn-Dixie, author Kate DiCamillo captures young readers' attention. "My name is India Opal Buloni, and last summer my daddy, the preacher, sent me to the store for a box of macaroni-and-cheese, some white rice, and two tomatoes and I came back with a dog." With these words, ten-year-old Opal Buloni begins her account of the summer her life changed because of Winn-Dixie, a goofy stray dog she adopted. Opal and her father, whom she usually refers to as "the preacher," have just moved to Naomi, Florida. Her mother abandoned the family when Opal was three. Opal's father is the preacher at the Open Arms Baptist Church of Naomi. Although they are living at the Friendly Corners Trailer Park, Opal does not have any friends yet. The move and her loneliness make Opal miss her fun loving mother more than ever. She wants to know more about her mother, but the preacher, who misses his wife very much, won't answer her questions. The author, Kate DiCamillo, does an excellent job of capturing the "voice" of Opal, who is a resilient child. With the help of Winn-Dixie, Opal begins to meet a number of people in her community, some quite eccentric. As the summer progresses, Opal builds a number of friendships with people of all ages and types. She also convinces her father to tell her ten things about her mother, one for every year of Opal's life. Opal's story is both humorous and poignant as she learns about friendships, families, and moving on. It is, as the author states, "...a hymn of praise to dogs, friendship, and the South." Kate DiCamillo earned one of the highest honors in children's literature when Because of Winn-Dixie was named a Newbery Honor Book for excellence in young people's literature. 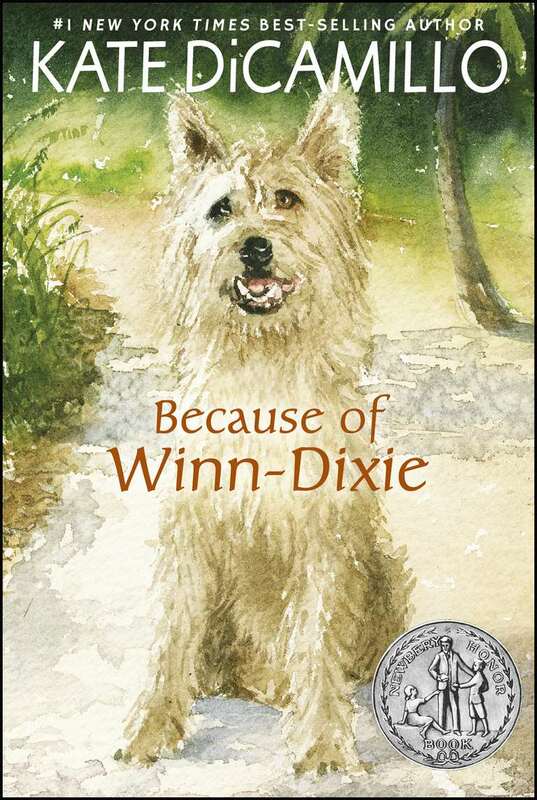 In addition to being named a 2001 Newbery Honor Book, Because of Winn-Dixie was awarded the Josette Frank Award from the Children's Book Committee at Bank Street College of Education. This annual children's fiction award honors outstanding works of realistic children's fiction that portray children who successfully deal with problems. Both awards were well deserved. Since the publication of Because of Winn-Dixie in 2000, Kate DiCamillo has gone on to write a number of award-winning children's books, including The Tale of Despereaux, awarded the John Newbery Medal in 2004, and Flora and Ulysses, awarded the 2014 John Newbery Medal. In addition to all of her writing, Kate DiCamillo served a two-year term as the 2014-2015 National Ambassador for young People's Literature. Because of Winn-Dixie was first published in 2000. Since then, paperback, audiobook and e-book editions have been published. The paperback edition is about 192-pages long. The cover of the 2015 paperback edition is pictured above. I would recommend Because of Winn-Dixie for children 8 to 12, although the publisher recommends it for ages 9 to 12. It is also a good book to read aloud to kids 8 to 12. The children's movie version of Because of Winn-Dixie opened on February 18, 2005. We would also recommend the Because of Winn-Dixie movie for children between the ages of eight and twelve. It's on the list of the Top Kids' Movies Based on Books for Kids Ages 8-12. While we like the movie version of Because of Winn-Dixie very much, we like the book even better because of DiCamillo's writing style and because there's more time and attention spent on character and plot development than in the movie. However, one of the things we particularly like about the movie was the sense of place and time it creates. While a few critics found the movie cloying and trite, the bulk of the reviews matched my perception of the movie as very good and gave it three to four stars and cited it as touching and funny. We agree. If you have children 8 to 12, encourage them to read the book and watch the movie. You might also do the same. For more about the book, download the Candlewick Press Because of Winn-Dixie Discussion Guide.